NEW YORK – May 15, 2017 – Webair, a high-touch, agile Cloud and fully managed infrastructure service provider, today announces that it is a Microsoft Azure ExpressRoute Partner. Azure ExpressRoute allows Webair customers to easily and securely utilize Microsoft cloud services, including services such as Azure, Office 365 and Dynamics 365, with increased levels of reliability and performance. 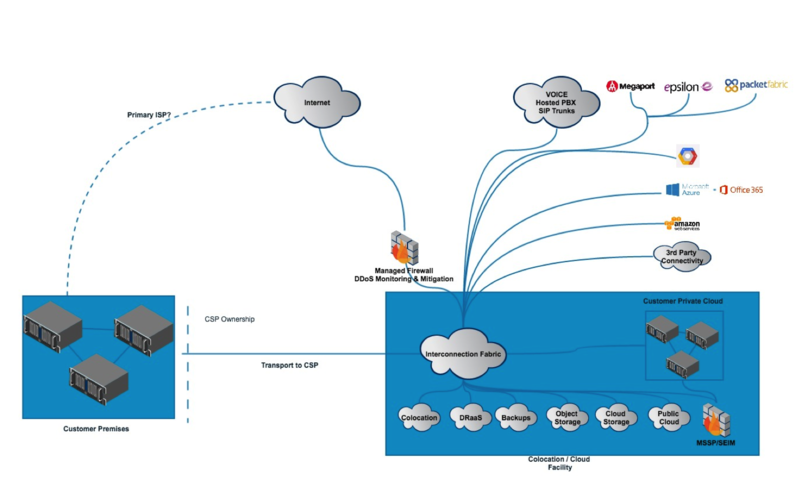 ExpressRoute is a private, dedicated network connection between the Microsoft Cloud and Webair’s customers’ IT environments. The decision to become a Microsoft Azure ExpressRoute Partner is consistent with Webair’s overarching strategy of providing customers with direct, private and secure access to hybrid cloud services, and expands its ability to mix and match its own local, low-latency enterprise public cloud as well as third-party hyperscale cloud services. Webair’s cloud infrastructure is housed in Webair-owned facilities and runs on enterprise-grade hardware dedicated to customers and deployed directly into customer environments. Its direct network connectivity model and ability to deploy dedicated hardware per customer allow the secure and private consumption of scalable and SLA-backed cloud services with no physical connectivity to the public internet or to other customers. Today, many of Webair’s healthcare provider and enterprise customers, for example, need to bypass the public internet and consume cloud services as if they were on-premises. Becoming a Microsoft Azure ExpressRoute Partner and gaining a private, dedicated network connection between Microsoft Azure data centers and Webair customers’ IT environments now provides the best of both options without having to sacrifice existing network security models. Webair has executed many hybrid cloud solutions for its customers, which often include a hybrid of services such as Enterprise Private Cloud, Managed Security, Disaster Recovery-as-a-Service (DRaaS) and Colocation as well as connectivity to Microsoft Azure, air-gapped and bypassing the public internet where possible. An air gap means that the customer’s network or system is physically isolated from the internet, thus providing added security against intruders. In becoming a Microsoft Azure ExpressRoute Partner, Webair has established a more formal relationship with Microsoft to meet its clients’ ongoing growth and demand for future implementations. Webair plans on offering more managed services on top of Microsoft Azure as its customers, including healthcare and enterprise organizations, seek more hybrid services. Becoming a Microsoft Azure ExpressRoute Partner is but one critical first step in meeting these demands. Webair will be attending International Telecoms Week (ITW), the annual meeting for the global wholesale telecommunications community, taking place May 14-17, 2017 in Chicago. To request a meeting with the Webair team at the event, email webair@imillerpr.com. For more information about Webair, visit www.webair.com.